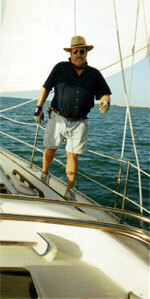 Sailing is a lot of sporadic tales of sailing and helpful information expressed in a humorous way. We hope you enjoy them in the voyage of life. We should pass on any impressions or ideas that will help our fellow sailors and boaters have more fun and be safer while savoring life's sunrises and sunsets.